Embargoed 21:00 GMT Monday (4-FEB-2019 16:00 ET) Madatory Credit - Courtesy of American Society for Clinical Investigation / SWNS Illustration showing how an electrode was inserted into the cingulum bundle - From Bijanki et al, J. Clin. Invest. (2019). 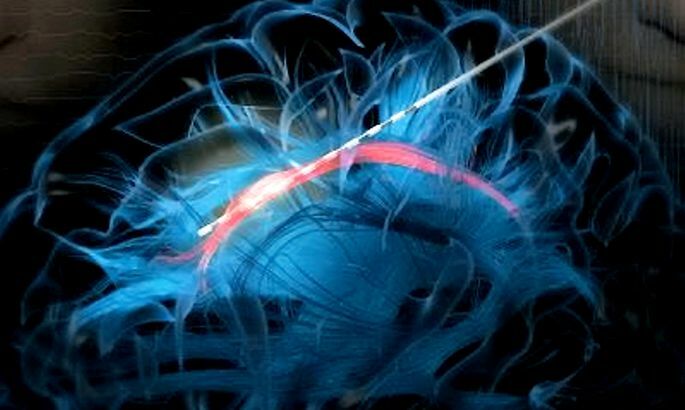 Laughter really is the best medicine for brain surgery as it helps relax the patient, a new study found. See NATIONAL story NNLAUGH. During delicate brain surgery where the patient is awake, if they panic and start to move about it could be life threatening. But US neuroscientists have found a way to tickle an area of the brain electrically to induce immediate laughter followed by a sense of calm and happiness. The technique was a "potentially transformative" way to calm some patients during awake brain surgery, even for people who are not especially anxious, the study authors said. Kümnete inimeste ajusid uurinud teadlased leidsid selles jälgi aktiivsusmustritest, mis viitavad teadvusel olekule. Ajakirjas Science Advances ilmunud teadusartiklis leidis Birminghami Ülikooli neuroteadlane Davinia Fernández-Espejo kolleegidega, et eri rühmade ajuaktiivsus erines märgatavalt. Teadvuseta inimeste, sh üldtuimestuse all olevate patsientide ajus oli erinevate piirkondade suhtlus peaaegu olematu ja samas ka ühetaoline, kirjutab ERR Novaator.